Origin: Cultivar. Species native Central European Mountains, Siberia to North America, Turkey: wet meadows, bogs, forest margins. 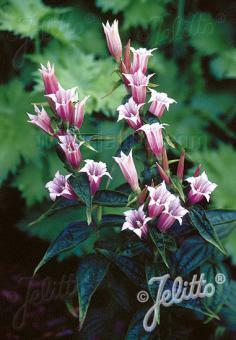 Special Features: Pink tubular-shaped blossoms appear in clusters of twos and threes along the axils of the stems. Exquisite color!